Home » All News » JA Annual Fund Reaches Milestone! JA Annual Fund Reaches Milestone! 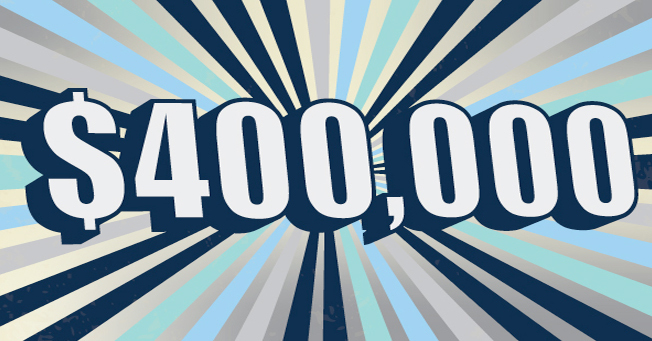 Thanks to the generosity of so many Jackson Academy families, alumni, and friends, the JA Annual Fund has gone over $400,000 in cash and pledges for the 2015-16 school year! Never before has so much money been raised through the Annual Fund in such a short period of time. We are so grateful to our teachers, parents, alumni, grandparents, and friends who give so selflessly. Annual Fund dollars make a tremendous impact on the teaching and learning environment at JA. From the Preschool playground to the Upper School hallway renovations, annual giving makes a difference. The majority of the dollars raised this year will go toward the Learning Commons (Upper School Library) renovations scheduled to begin this summer. Thank you to our Annual Fund parent volunteers, Elizabeth and Percy Quinn, Development Chairman Austin Barbour and committee, and many parent and alumni volunteers who gave their time and resources to reach this milestone and continue to strengthen Annual Fund efforts.